On November 19, 2018, the Board of Education of Harford County named Eric Davis chief of administration for Harford County Public Schools to fill the vacancy created when the former chief of administration, Joseph Licata, retired on November 1. Mr. Davis is a 1990 graduate of Saint Paul’s College with a Bachelor of Science in Education. He earned a master’s degree in Educational Leadership from Lynchburg College in 1998. Mr. Davis’ nearly 30-year career in education began with Lynchburg City Schools in 1990 as a third grade teacher. He went on to serve in the roles of assistant principal and principal before leaving that school system to relocate to Montgomery County, Maryland, in 2001. In Montgomery County Public Schools, Mr. Davis served as principal of Maryvale Elementary School (2001 to 2004) and then principal of Montgomery Village Middle School (2004 to 2006) before being promoted to Director of School Performance in 2006, a role in which he supervised 11 principals, assisted with school improvement planning, and co-facilitated Achievement Steering Committees. In 2008 he was named director of the Department of Family and Community Partnerships and supported administrators in 200 schools with strategies to increase family engagement. In 2012, Mr. Davis relocated to North Carolina to accept the position of assistant superintendent for Wilson County Public Schools. In this capacity, he was responsible for all operations within the school system, including finance, professional development, administrative services, and human resources. He worked closely with community agencies to design and implement the safety and security process for the district and was responsible for school climate and culture throughout the district. 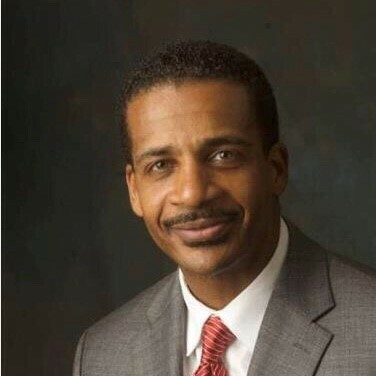 Mr. Davis has earned several honors throughout his career, including Outstanding Principal for Community Engagement (2002) and Montgomery County Junior Council Principal of the Year (2005). In 2009, he was tapped to participate in Secretary of Education Arne Duncan’s first National Town Hall Meeting for the reauthorization of No Child Left Behind. Mr. Davis has presented at several educational conferences throughout the years and most notably served as the keynote speaker for three consecutive years at state Title I conferences (Texas, 2013; Virginia, 2014; and North Carolina, 2015) on differentiated outreach, was a presenter during the 2016 ASCD National Conference on creating a welcoming environment in schools, and was creator and moderator of an international Twitter chat for educational collaboration, #EngageChat. In addition, Mr. Davis authored and published a book for school-based administrators entitled I Hear You Knocking – But You Can’t Come In! – A Framework for Creating a Welcoming Environment in Schools. “Mr. Davis is one of the finest educators I know. He is a visionary leader with a proven track record in both school-based leadership and system operations. He will be an outstanding addition to Harford County Public Schools,” said Superintendent of Schools Sean Bulson.